“Changes call for Innovation and Innovation leads to Progress”. It’s our pleasure to welcome you all to the new set of changes in the Apptivo iOS Mobile App. 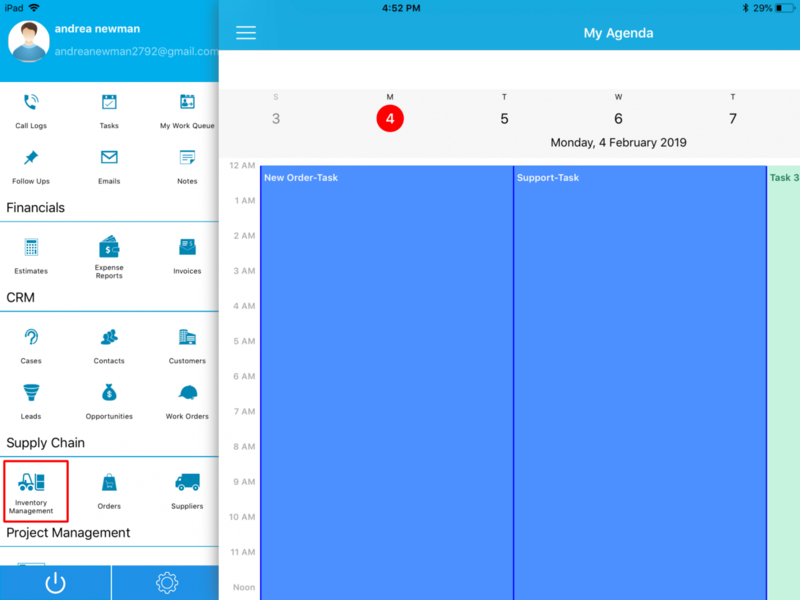 Run your eyes down till the end to get a clear picture of the updated version of Apptivo iOS All-in-One Mobile App V6.0.11 as on February 01, 2019. Implementation of Inventory Management App. Comma Separator for Currency field. Back Order and Total Back Order quantity field in Orders. Noteworthy enforcement of this release is that you can now convert an object in an app to another appealing app within Apptivo. Note: You need to configure the Custom Conversion Apps from the web version which will get reflected instantly in your iOS app. For instance: Consider the Leads App. 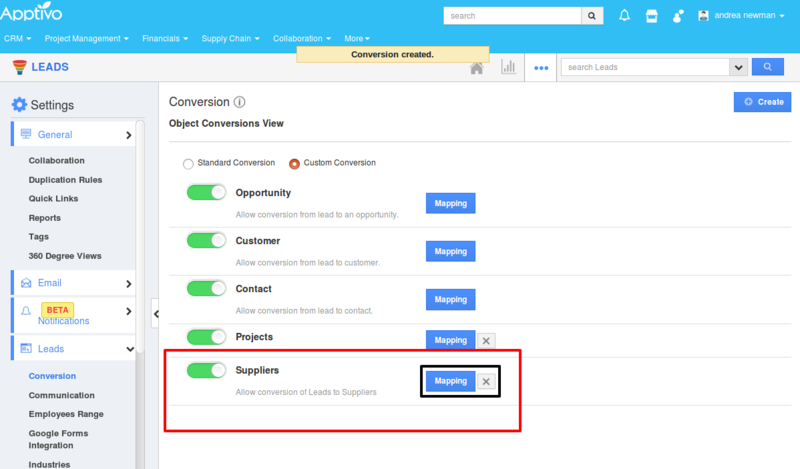 If you want to convert a Lead into a Supplier and it is not listed in the convert option, this is all you need to do. You can customize the Conversion by creating a new Custom Conversion to Lead in the web Settings. 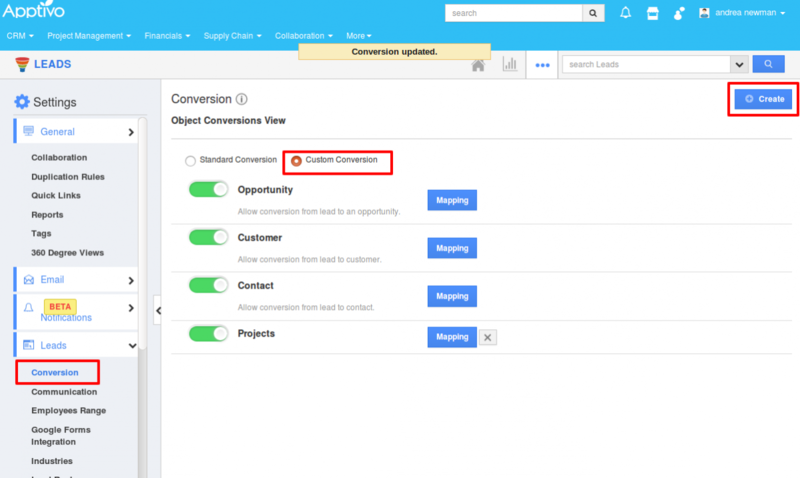 Go to the Settings option in the Leads App and change the toggle in Conversion to “Custom Conversion” and click on “Create”. You need to map the fields by clicking on “Mapping”. 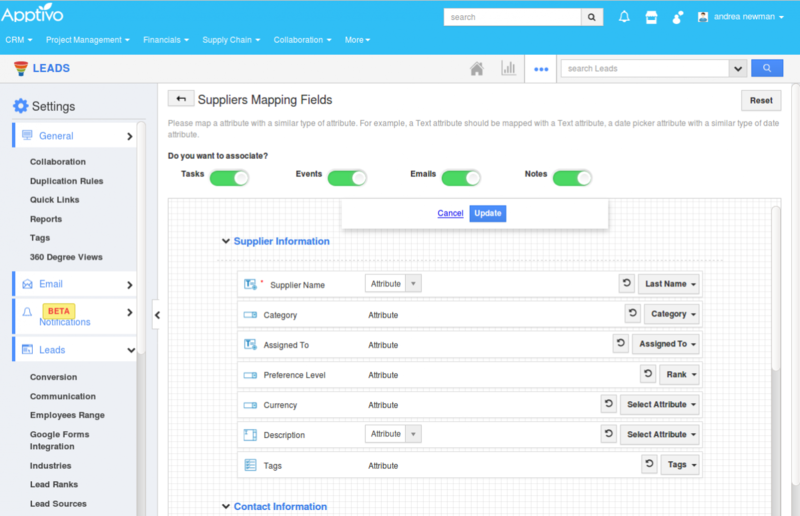 The fields should be mapped from the Leads to the Suppliers and updated. If you want to convert the Associated Activities, it can be done by enabling the toggle at the top. 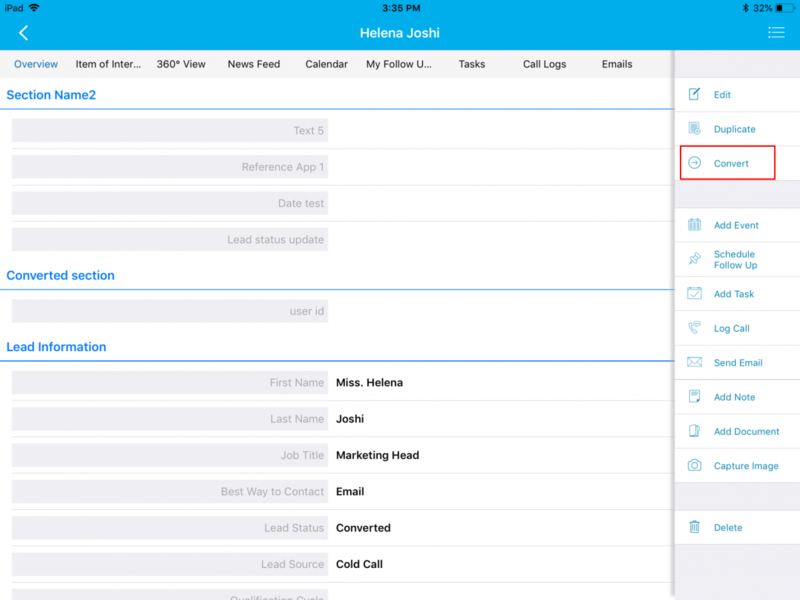 Once you update the field, you can “Convert” the Apps in the Apptivo iOS Mobile App. 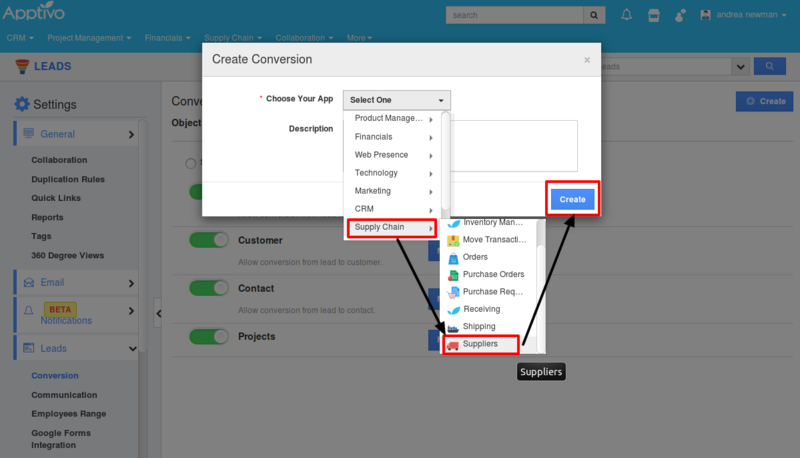 You can choose one of the Apps to which the Lead has to be converted from the pop-up, here, Supplier. Once you choose Supplier, you can find the Lead converted as Supplier, you can enter all fields and click on “Done” to completely convert the Lead to Supplier. 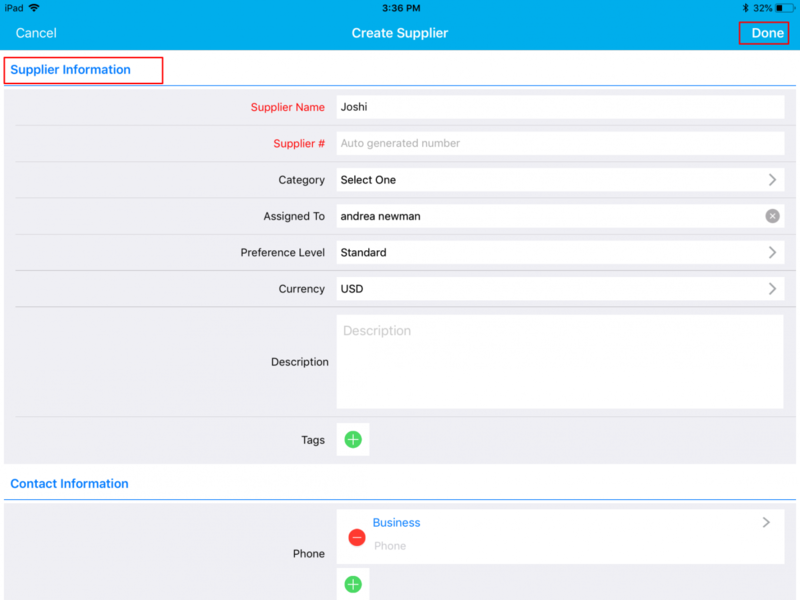 implementing the Inventory Management App. 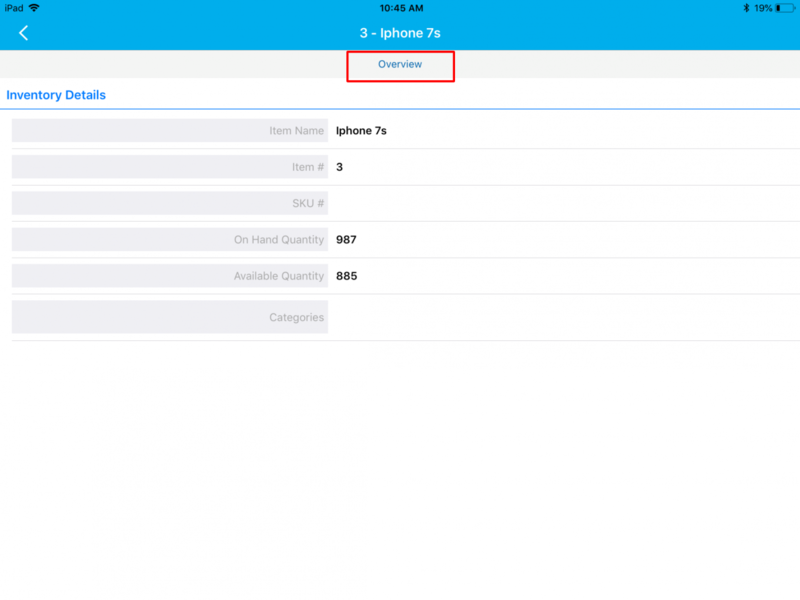 With Apptivo Inventory Management, you can know what is in stock and what is running very low in quantity/services. You can be on the top of all your stock movements and effectively track the inventory quantity and plan ahead of the arising necessity. 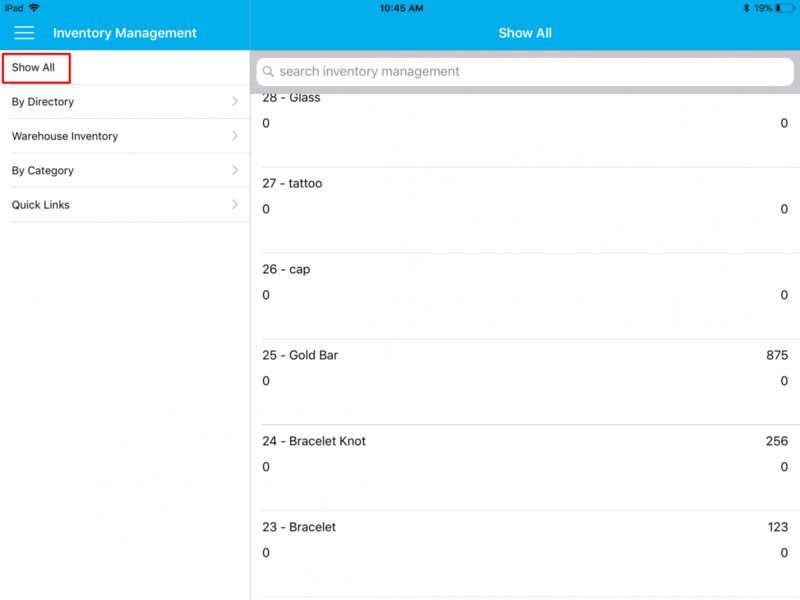 Consider the Inventory Management App. Clicking on it you can view the inventory records created in the web version, and search for the inventory records. 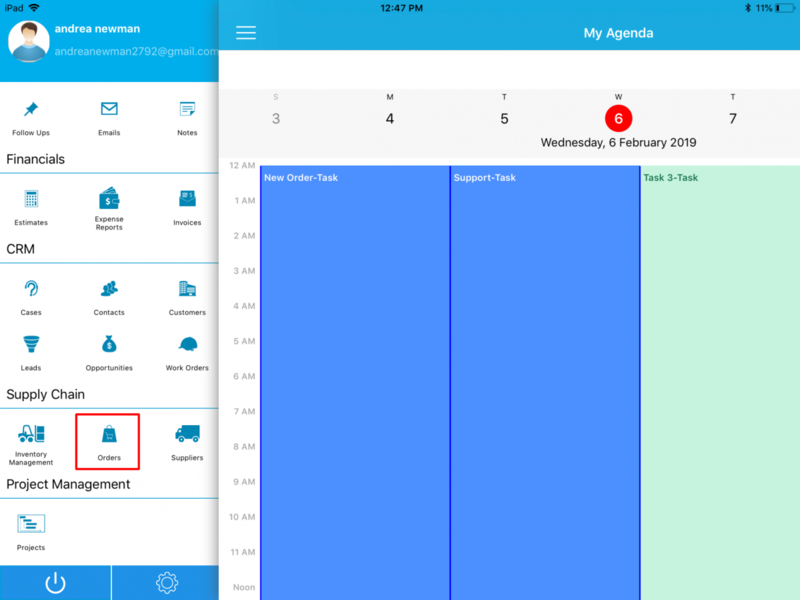 Once you click on an item, yproduct_release_mobile_feb01ou can view the Overview Page. Note: You can view the comma separator only on the Overview page and not while creating an object. 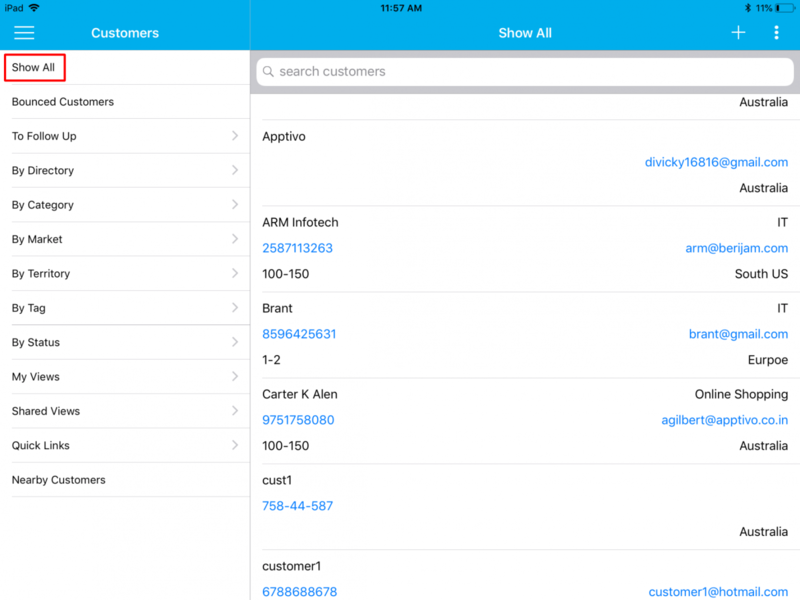 For Instance: Let us consider the Customers App. You can view the Comma Separator in any currency fields. Select a record from the Show All. 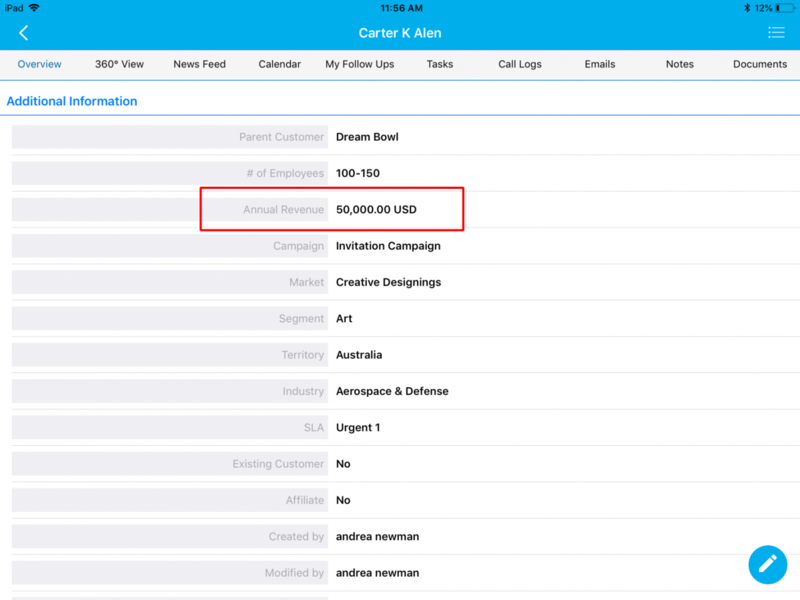 You can see the comma separator in the Currency field (Annual Revenue). 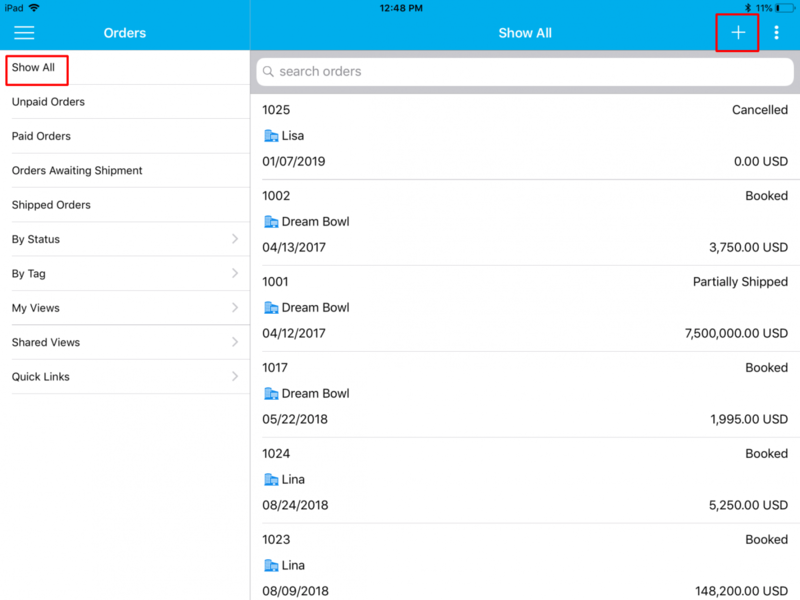 One of the most awaited features in iOS platform which has been suggested by various customers is the Backorder Management in Orders App which is now in the hot pan. Backordering gives you the ability to create orders for a product which is temporarily out of stock to ship (i.e The ordered quantity greater than available quantity). When placing an order from now, available you can view both the Available quantity(displays the available inventory quantity of the selected item) and the total backorder quantity(displays the total number of items which is out of stock). 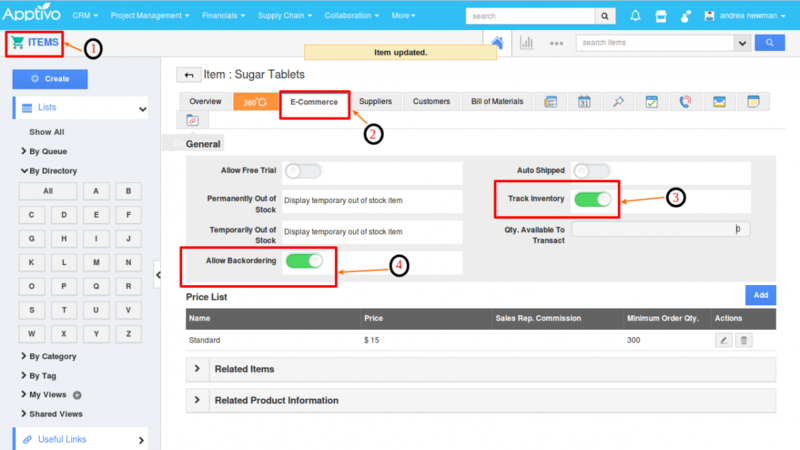 Note: In order to create backorders, you need to enable the Allow Backordering toggle from the Items App in the web version. 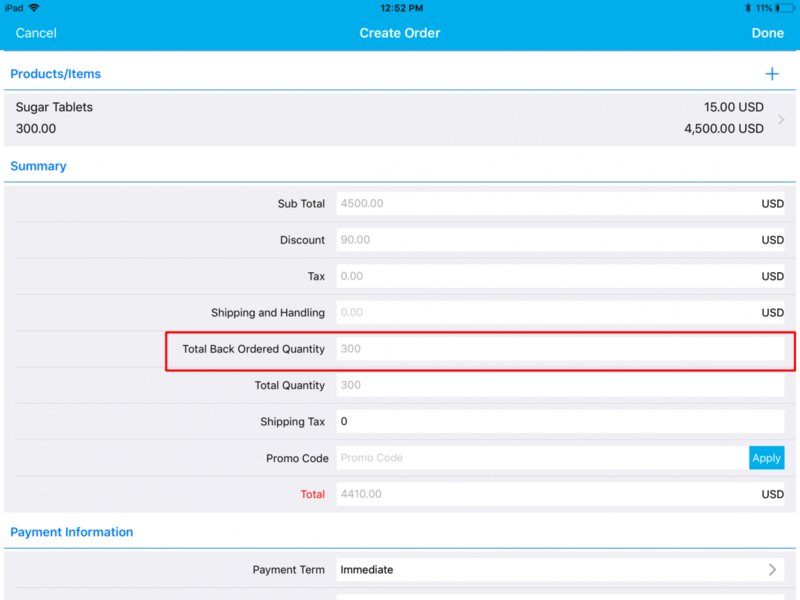 Select the required Item -> E-Commerce tab -> enable Track Inventory -> enable Allow Backordering. Go to the Orders App in your iOS device. Click on the “+” icon to create an Order. You can now view the Total Back Ordered Quantity in the Creation page of the Orders. 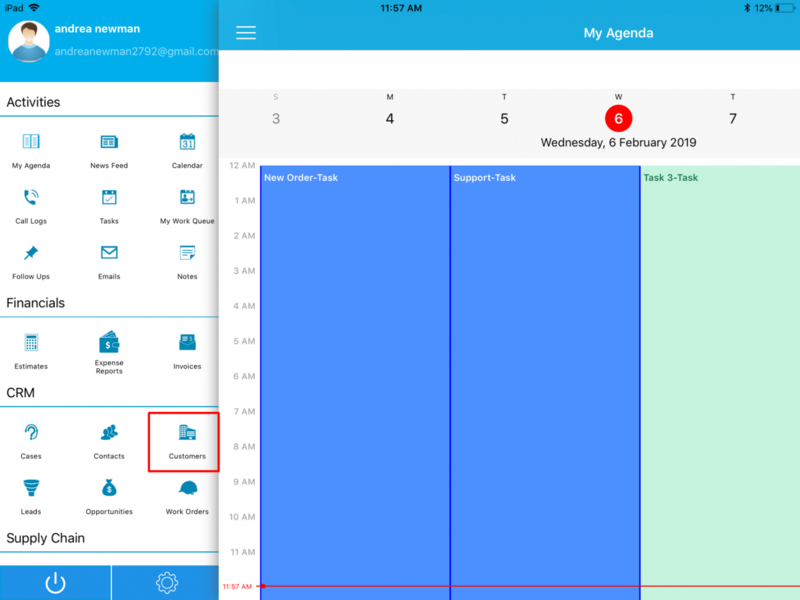 Download our latest version of the iOS All-In-One App. Give these features a try and feel free to contact our support engineers anytime you require at support@apptivo.com. Stay tuned for more feature updates and releases.